Longest recipe title ever! But dont let it intimidate you! This super easy breakfast is mixed up the night before, then ready to go when you wake up in the morning. 1. Ready for this? Mix all of your ingredients together (minus the blueberries). 2. Leave the mixture in the fridge overnight. 3. Wakey wakey! 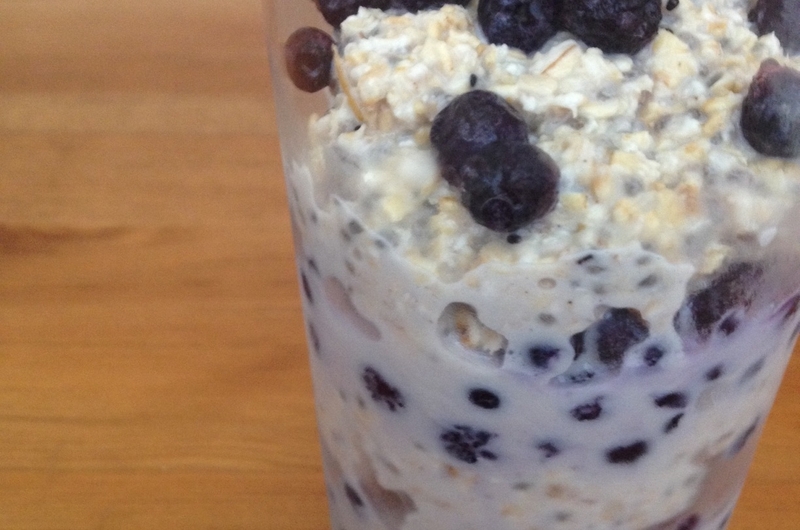 Take out your oats, and layer them in a parfair glass with your blueberries. 4. Easy peasy breakfast time!